From September through November 2015, Dutch-born, Detroit-based photographer Corine Vermeulen will be in residence at USFCAM and will work with the University Area Community Development Corporation (UACDC) on her newest project, Picturing Families in the University Area Community. Vermeulen’s work focuses on community life, capturing individual spirits as well as a locale’s essence, underscoring the varying hopes and contrasts in each community. 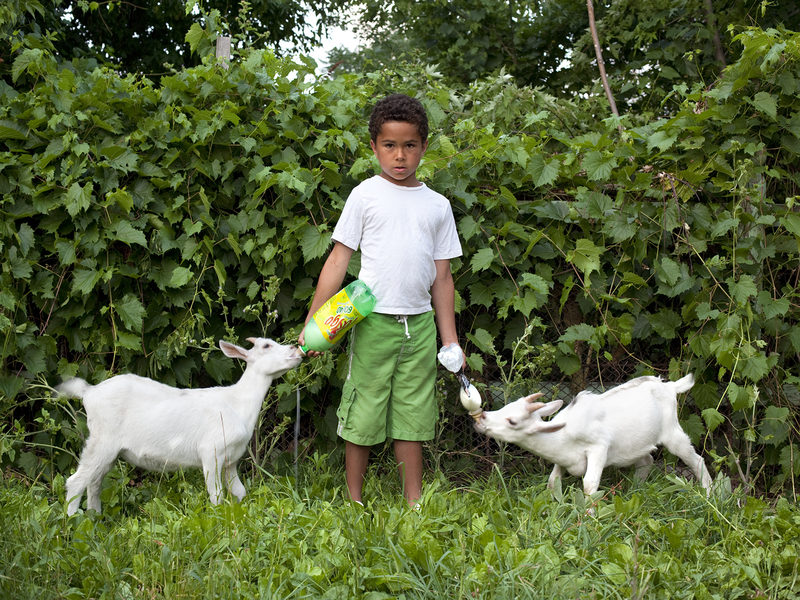 Vermeulen’s best-known community-centric project is the Detroit Walk-In Portrait Studio (2009-present), for which she photographed residents of Detroit neighborhoods in exchange for stories about local life. Through each individual story and portrait, Vermeulen pieced together an in-depth look at Detroit’s diverse residents, highlighting the different racial, socioeconomic and personal backgrounds involved. These aspects come together to form a personalized picture of Detroit that reveals the city’s humanity. LaTiece is one subject in the Detroit Walk-In Portrait Studio. 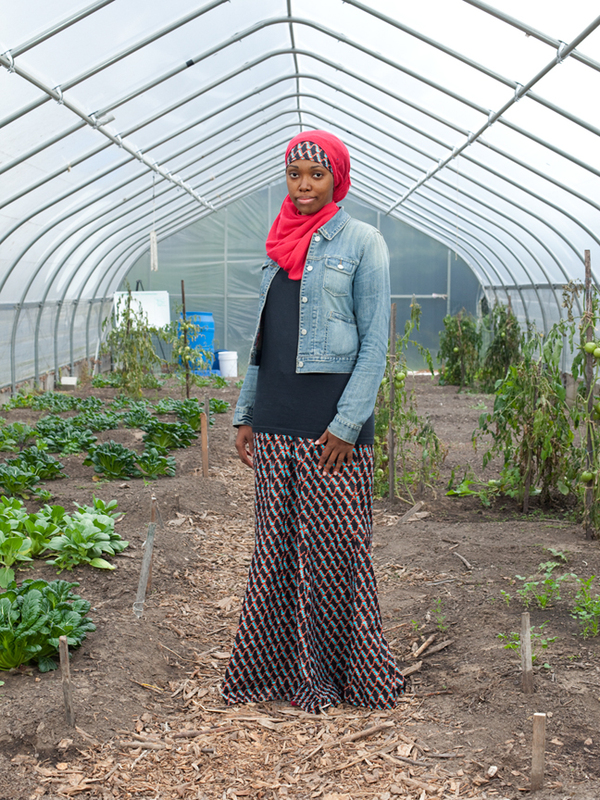 A member of D-Town Farm, a Detroit farming stand established by the city’s African-American community, LaTiece poses inside a greenhouse of vegetables. Her head adorned with a red scarf, she stares gently at the camera, arms at her sides as if she could begin walking at any moment. In LaTiece’s own words, her primary concern is with the “nutrition cognition connection” among students in her community. She sees a link between the growing number of students with learning disabilities and poor nutrition in urban communities such as her own—in order to improve these communities, she works to raise awareness of this issue. Vermeulen’s photograph emphasizes LaTiece’s dedication by capturing the passion in her eyes, as well as the kind air and grace she emits, accentuated by the greenhouse and bright sky behind her. These elements present a vision of hope in the Detroit area. In Picturing Families, Vermeulen will shift her focus to the residents of Tampa’s University Area, an ethnically diverse community surrounding USF with many residing under the poverty line. Similar to her work in the Detroit Walk-In Portrait Studio, Vermeulen will photograph residents in exchange for stories about their families and neighborhood, bringing attention to a marginalized community. Once complete, the portraits will be displayed at a public reception hosted by the UACDC’s Community Center Complex. USFCAM will also display a selection of Picturing Families in its fall exhibition, A Family Affair (August 24-December 12, 2015). 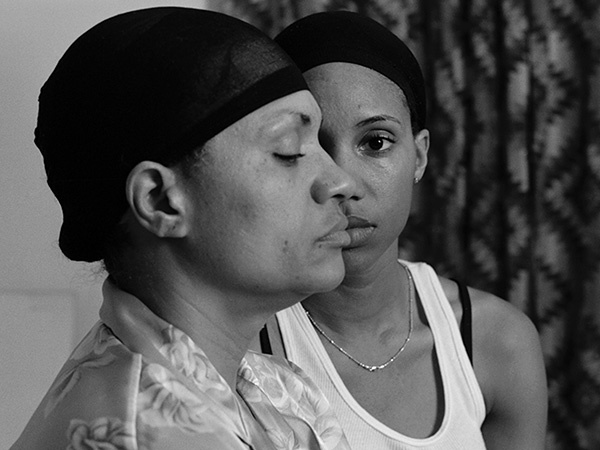 Open to the public, the exhibit also includes works by LaToya Ruby Frazier, Renee Cox, Kalup Linzy, Jacolby Satterwhite, Hank Willis Thomas and Deborah Willis.